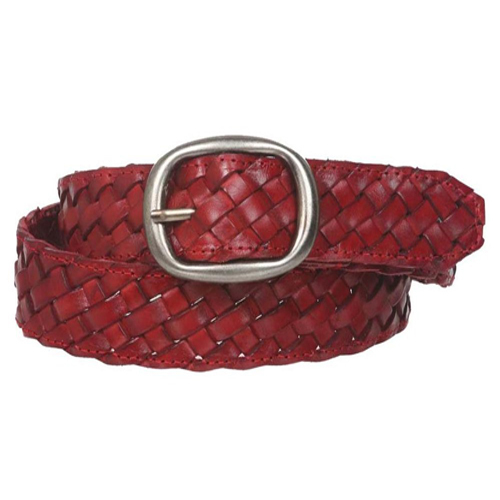 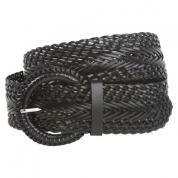 This ovaler braided leather belt is a classic example of fashion accessory. 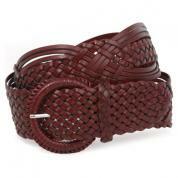 The tightly knitted wine shaded belt can be adjust well with any sized waistline. 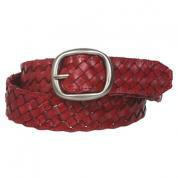 The silver coloured oval detachable sturdy buckle is good to handling while in a hurry. 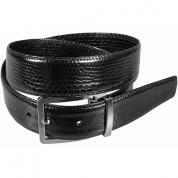 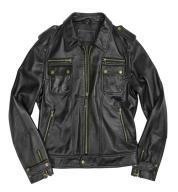 The attached pin with the buckle can be adjust with the interweaved gaps of the belt. 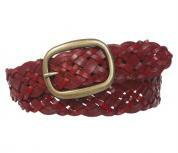 This long ladies belt is good to use for both casual and party wear.